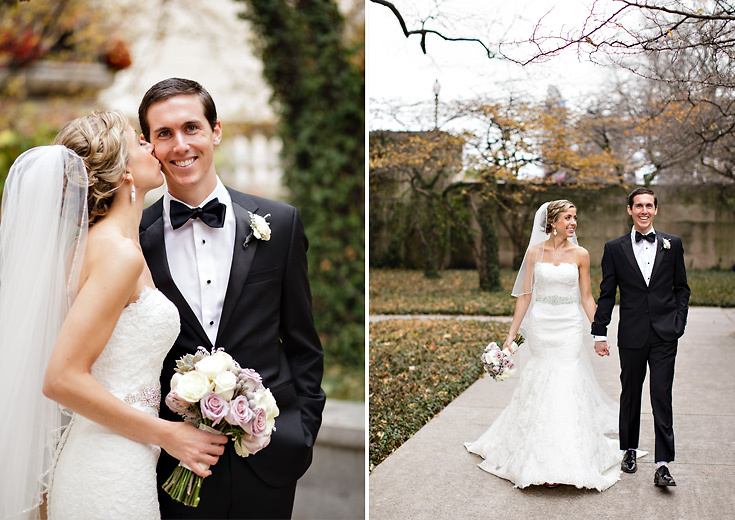 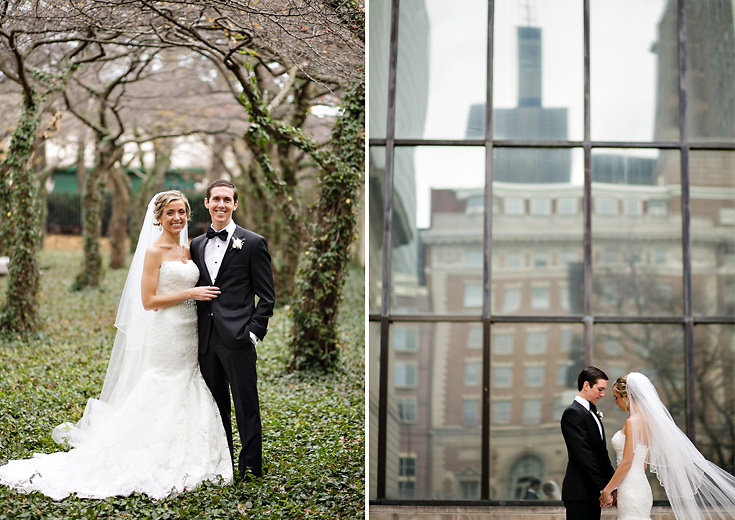 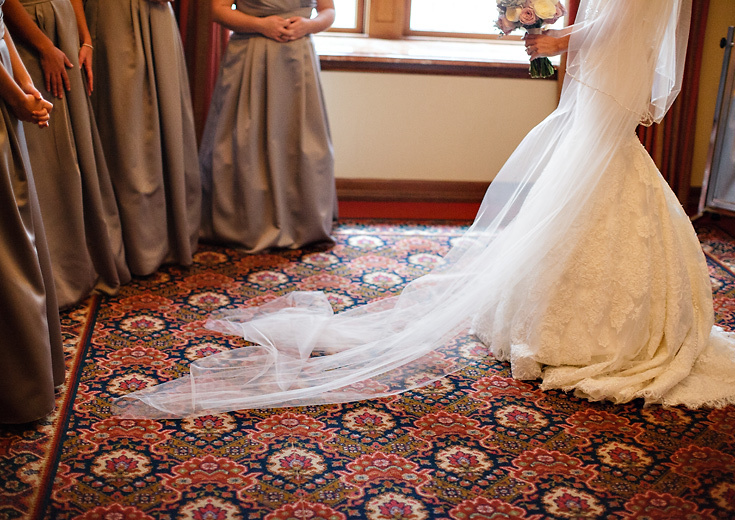 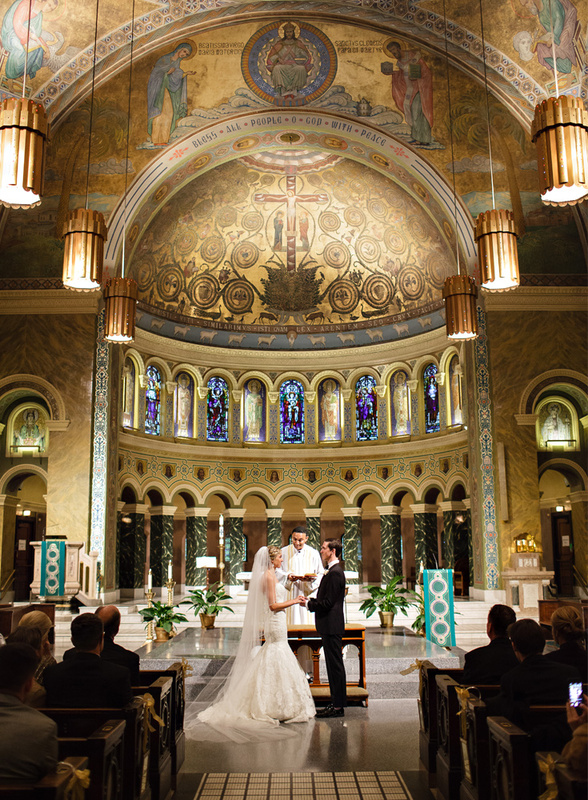 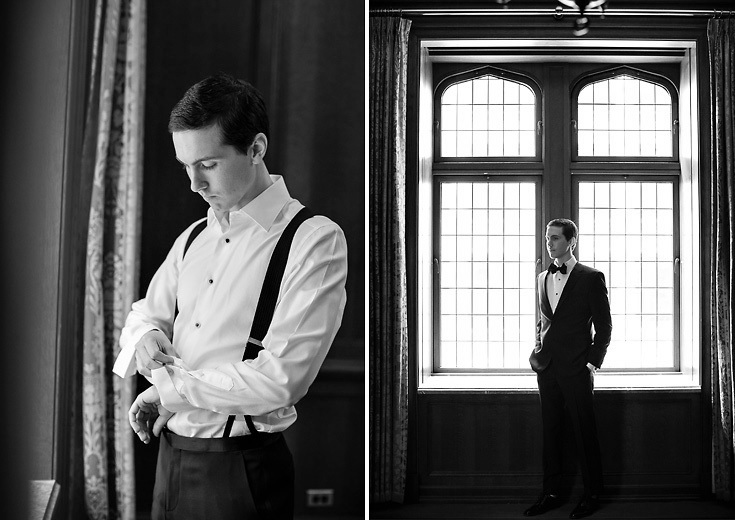 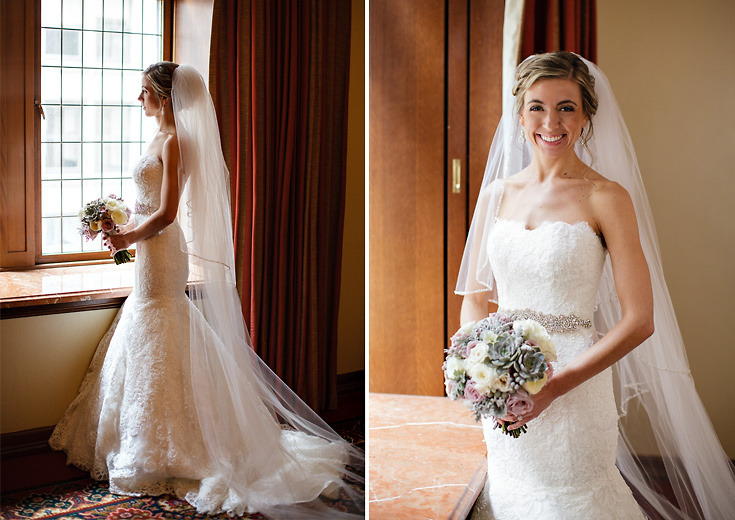 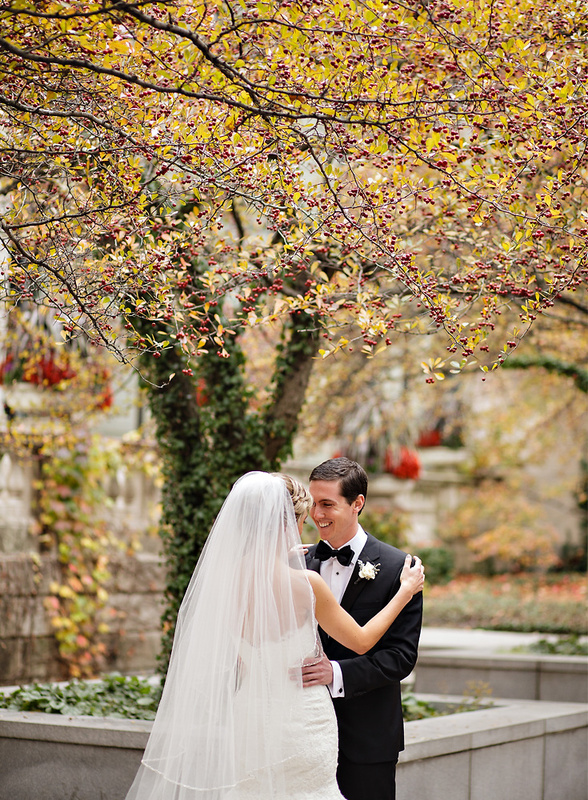 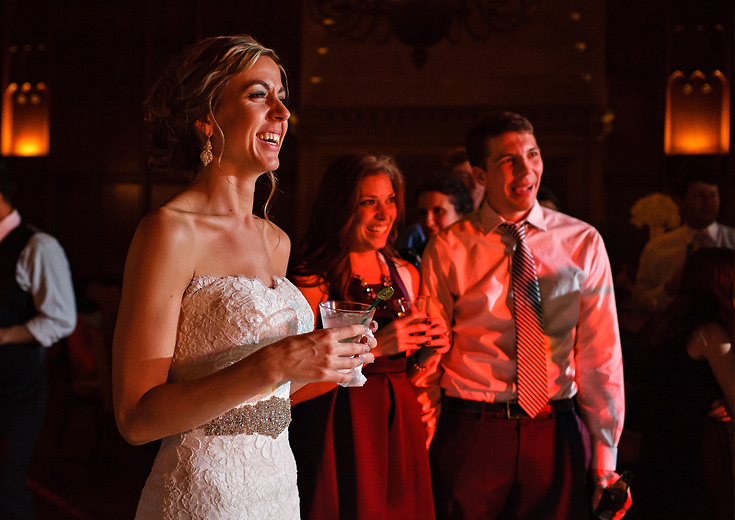 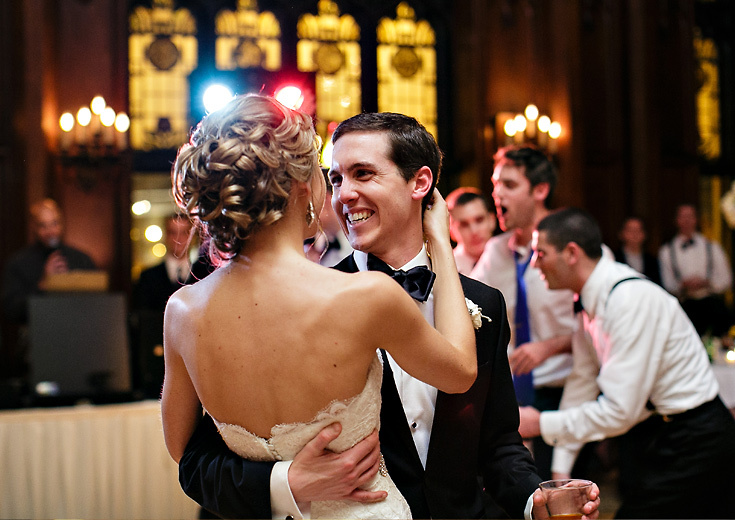 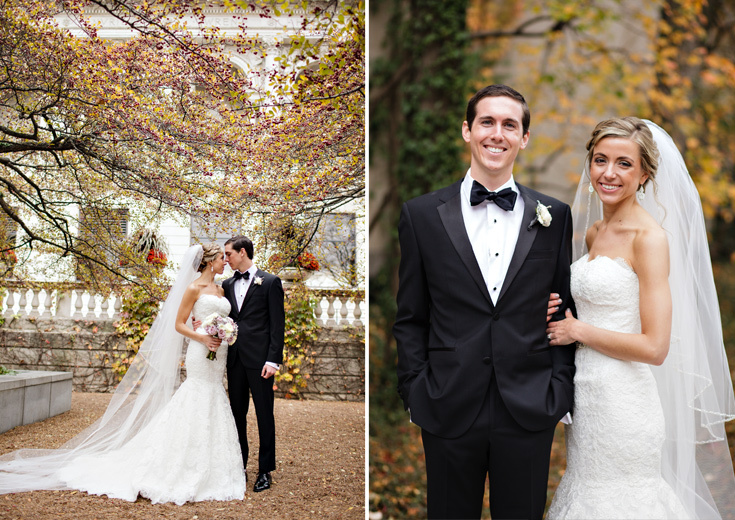 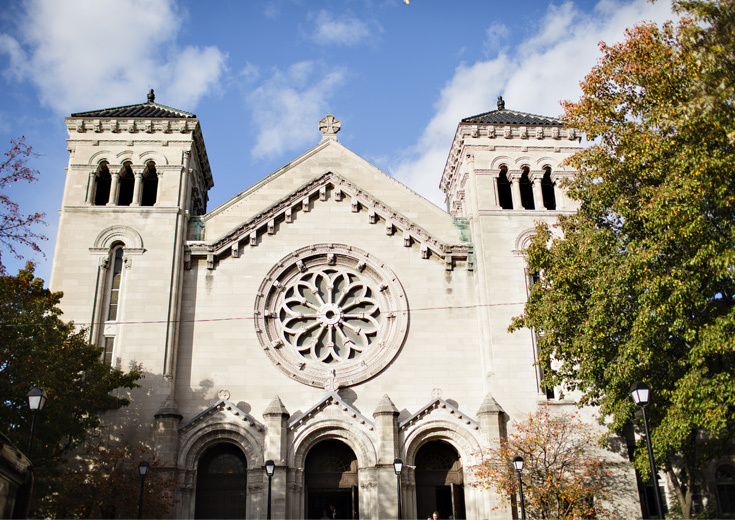 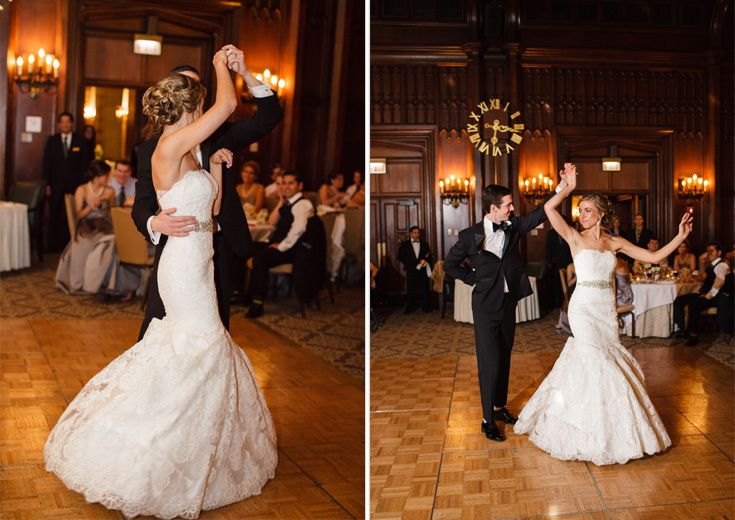 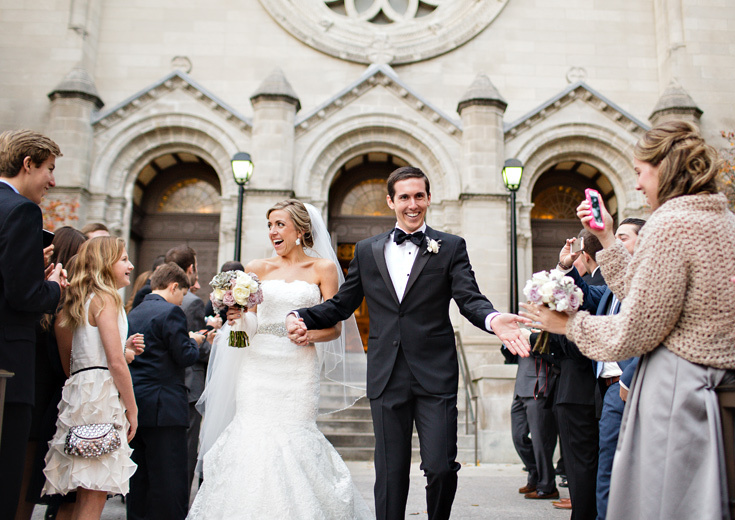 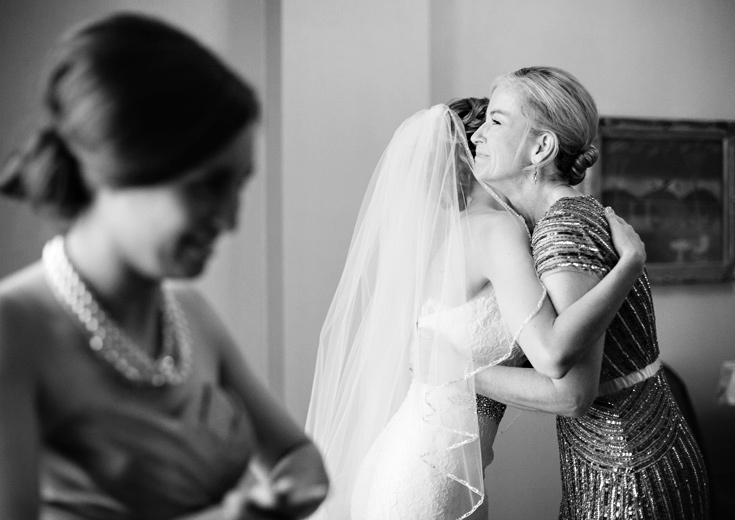 I’m very excited to announce that Amanda and Luke’s wedding is featured on The Knot! 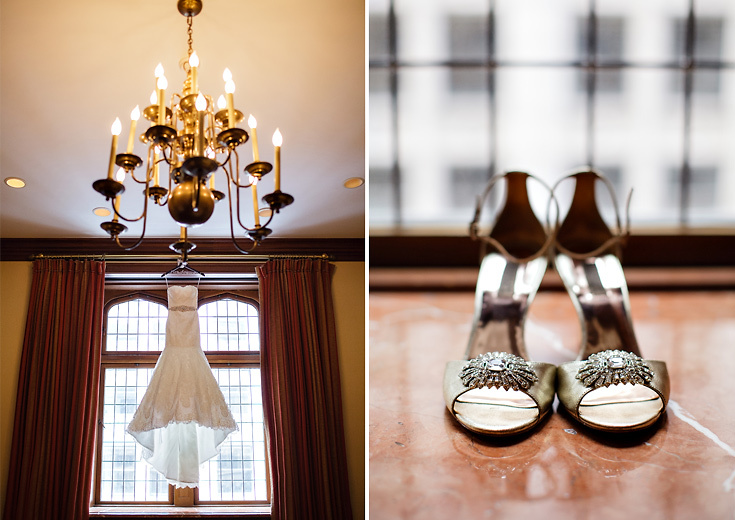 (After you enjoy the photos on my blog, definitely go check it out here.) 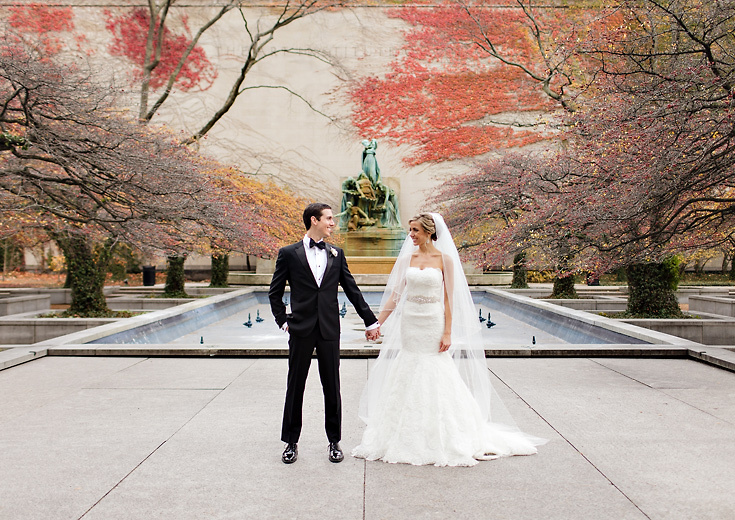 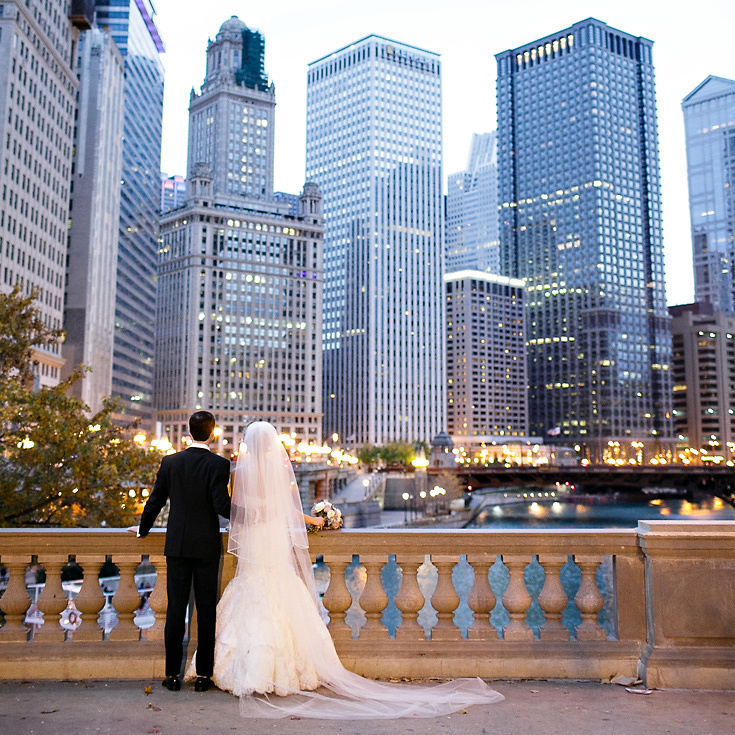 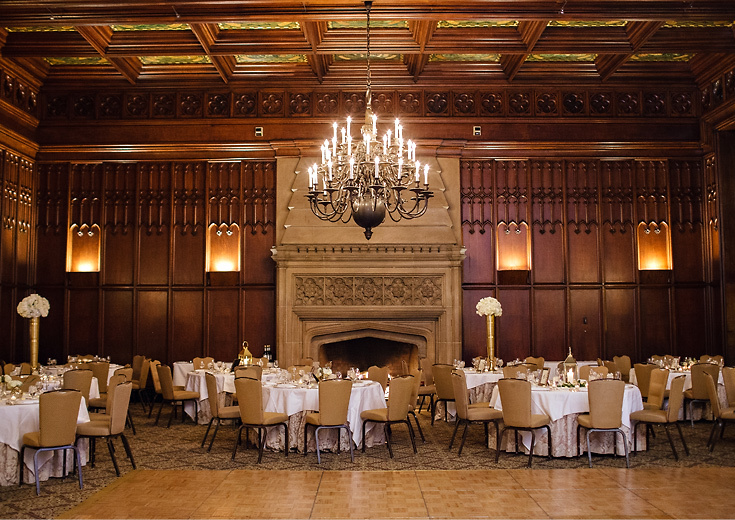 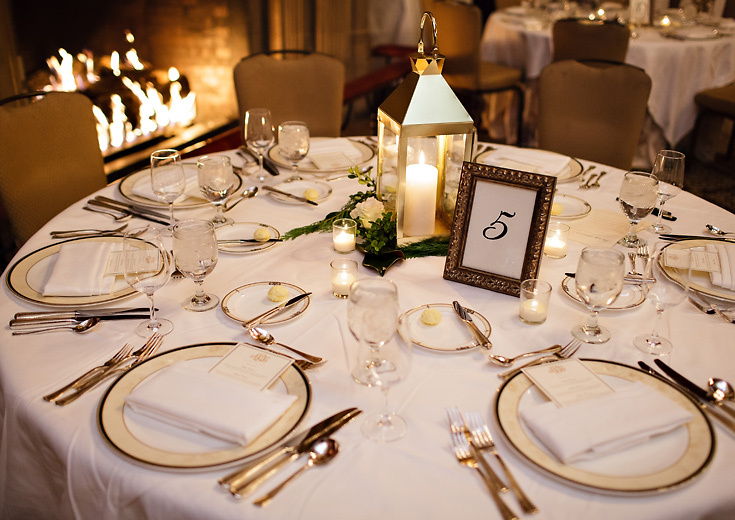 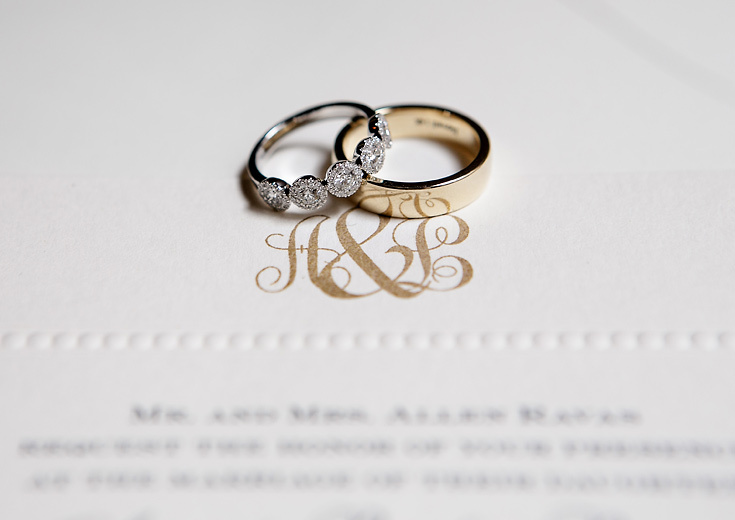 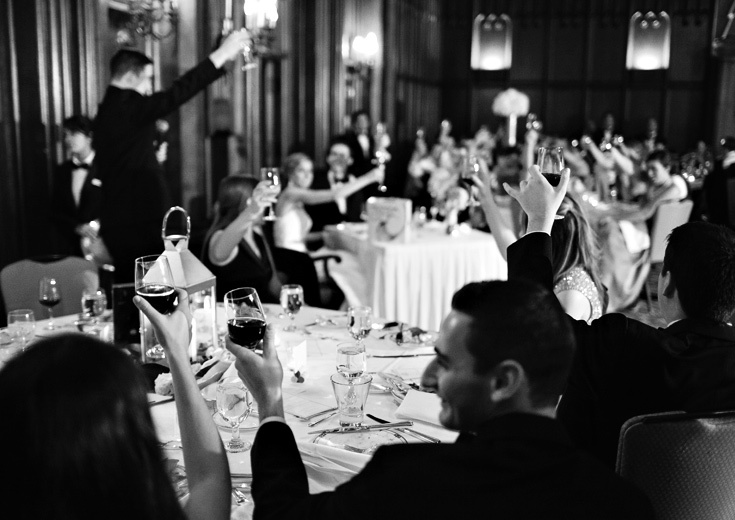 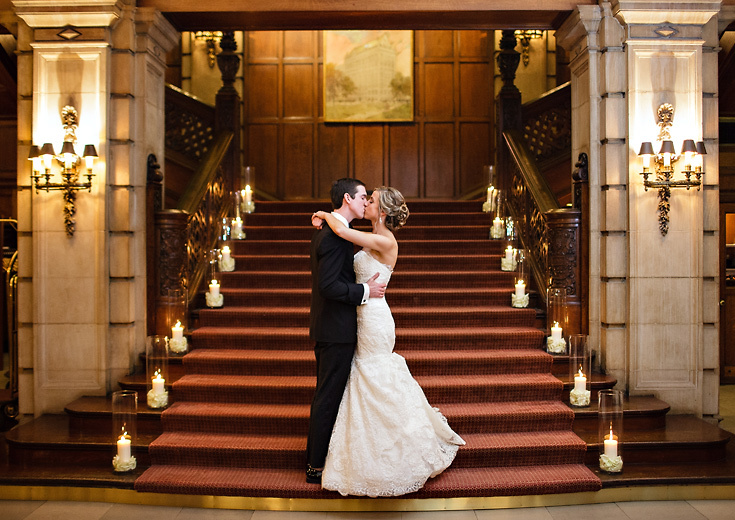 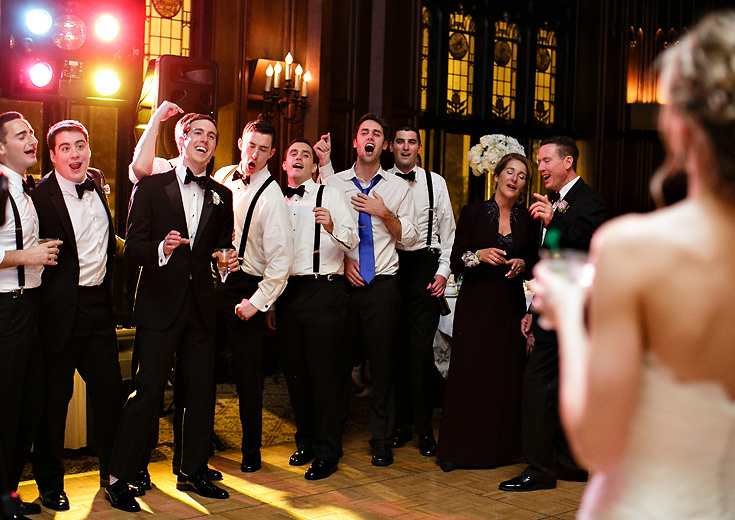 The inspiration for their gorgeous wedding was the designer Ralph Lauren — particularly the RL Restaurant in downtown Chicago. 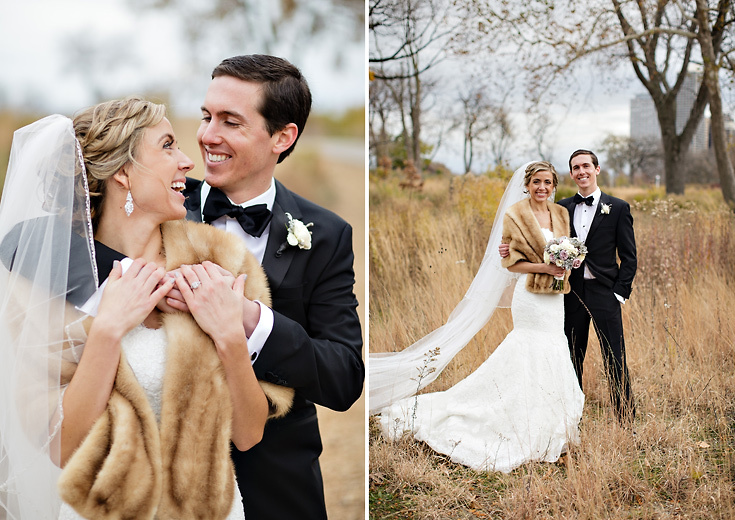 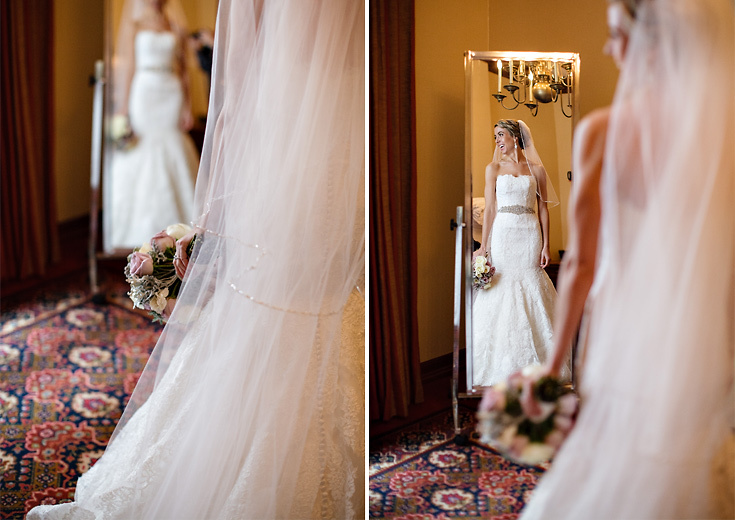 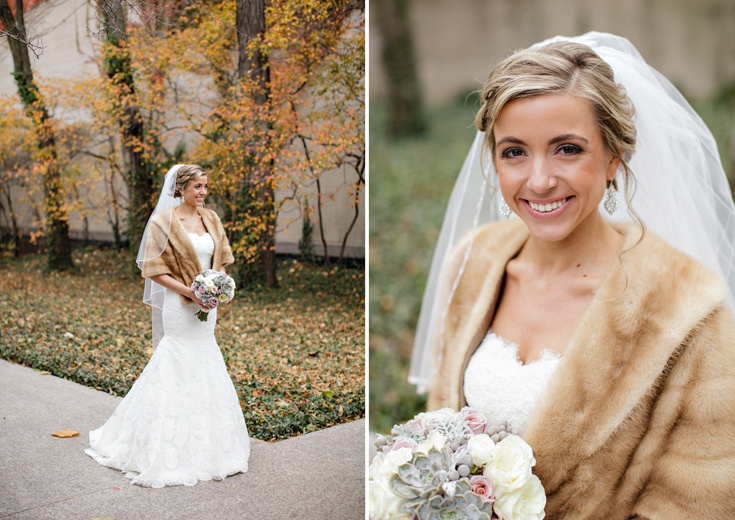 Their day followed that classic, vintage, eclectic look, with a slight natural vibe. 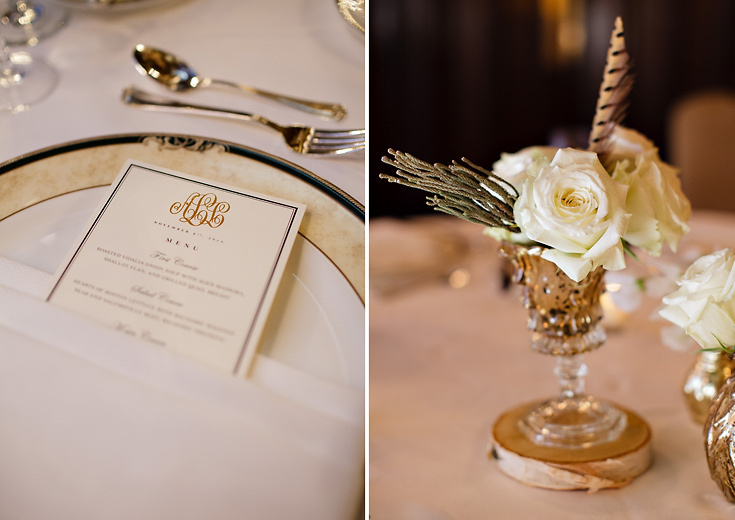 For the reception, centerpieces and decor were gold, ivory, lavender, and green, incorporating feathers with natural winter berries and mercury glass details. 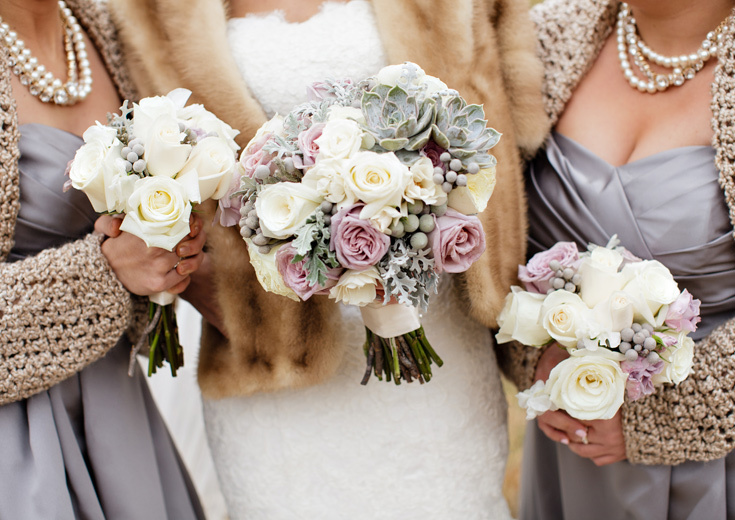 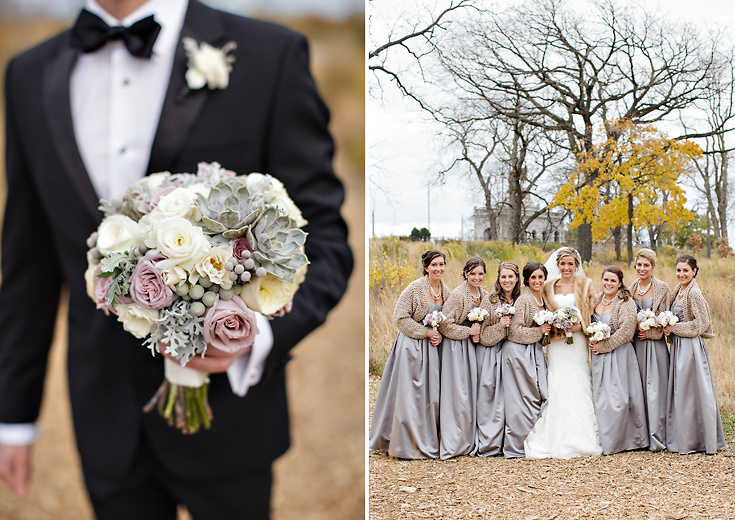 Bridesmaids dresses were mercury gray, and bouquets were ivory, dusty green with succulents, and dusty/pale lavender. 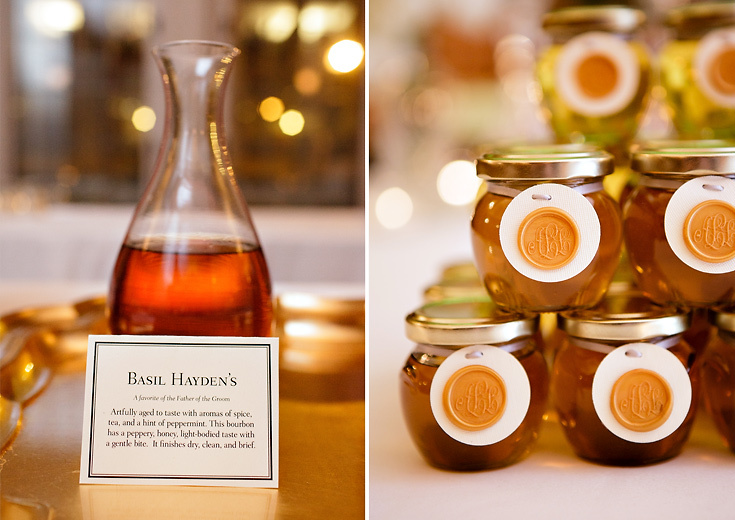 Other personal details special to the couple included a bourbon bar featuring family members’ favorite bourbons, and favors of handmade jars of honey from the groom’s mother’s own beehive. 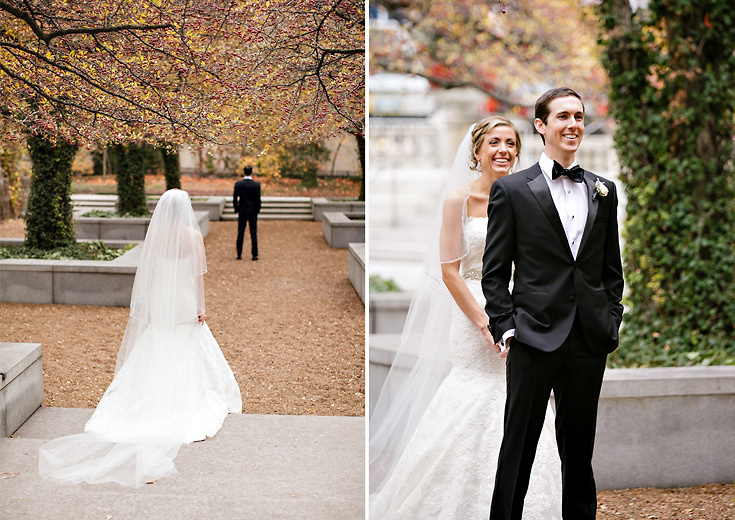 I absolutely adore this couple, and if you haven’t also seen their surprise proposal photos (also featured on HowHeAsked.com) you can check out my blog post here!